On 30 September 2006, Manchester City drew with Everton 1-1 before a crowd of 38,250 at Goodison Park with an equalizer from defender Micah Richards in the fourth minute of stoppage time. City midfielder Joey Barton celebrated the draw by dropping his shorts and exposing his bare bottom to the home fans. Barton, who played youth football for City, signed with the club as a professional in 2002 and, by 2006, was already in the process of developing a reputation for trouble. At the City Christmas Party in 2004, youth player Jamie Tandy--himself no stranger to trouble--attempted to set fire to Barton's shirt. Barton responded by sticking a lit cigar in Tandy's eye. Although Tandy's injuries were limited to a burnt eyelid, City issued Barton a club-record fine of £60,000. In the summer of 2005, City were participating in a preseason tournament in Thailand when a 15-year old Everton supporter verbally insulted Barton and kicked him in the shin. Barton responded by attacking the boy and had to be pulled away by teammate Richard Dunne. Afterward, City manager Stuart Pearce ordered Barton to take anger management classes and also fined him £120,000. By contrast, Barton's backside-baring earned him a paltry £2,000 fine and a caution from the Football Association. Barton was not through making headlines for off-the-pitch behavior, however. On 27 December 2007, he was caught on video fighting on the streets of Liverpool. He attacked a 16-year old boy, breaking several teeth, and punched another man at least 20 times. He was sentenced to six months in jail, but was released after spending only two months behind bars. He left Man City in 2007 and, after spells with Newcastle and Marseille, currently plays for Queens Park Rangers. 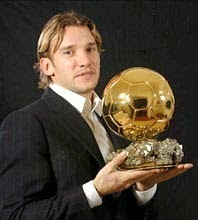 On 29 September 1976, Ukrainian international and Ballon d'Or winner Andriy Shevchenko was born in the Soviet village of Dvirkivschyna, located in the Kiev province of what is now the independent state of Ukraine. He would grow up to become one of the most celebrated strikers in Europe. Shevchenko played his youth team football for Dynamo Kyiv, with whom he signed his first professional contract in 1994. He went on to make 166 appearances for Kyiv, scoring 94 goals. Along the way, he helped them win five consecutive Ukrainian Premier League titles (1995-99), three Ukrainian Cups (1996, 1998, 1999), and three Commonwealth of Independent States Cups (1996-98). In 1999, he moved to AC Milan for a $25 million transfer fee. He was an instant success for the Rossoneri, scoring 24 goals in 32 league matches to claim the Serie A scoring title in his debut season. It was the first season in Shevchenko's professional career that he did not win a league title, however, as Milan finished third, behind Lazio and Juventus. He earned his first silverware with Milan in 2003, winning both the Coppa Italia and the UEFA Champions League trophies. Milan won the Scudetto the following season, with Shevchenko again finishing as the league's top scorer. 2004 was a good year for him, as he also won that year's Ballon d'Or. All told, he made 296 appearances for Milan in all competitions, scoring 173 goals. In 2006, Shevchenko transferred to Chelsea, who paid £30.8 million for his services, setting a record for the highest fee paid by an English club. His time at Chelsea was less successful, as injuries and disagreements with manager Jose Mourinho, and later Avram Grant, limited his playing time. He played only two seasons for Chelsea, who then loaned him back to Milan for the 2008-09 season. In the fall of 2009, he returned to Ukraine and his old club, Dynamo Kyiv, where he remained until his retirement in 2012. On 28 September 2004, English striker Wayne Rooney made his debut for Manchester United in a 6-2 win against Fenerbahçe at Old Trafford. The 18-year old put in an impressive performance, contributing three goals and an assist. United signed Rooney from Everton the previous month for a fee of £25.6 million, a deal that, at the time, made him the most expensive teenage signing in British history. He had been a professional for only two years, but had shown world-class quality playing for England in the 2004 UEFA European Championship, scoring braces against Switzerland and Croatia before suffering a foot injury against Portugal that forced him to exit the tournament. In his Old Trafford debut, United were already up 1-0 with a goal from Ryan Giggs when Rooney found the net from the edge of the penalty area in the 17th minute. He scored his second--from about 20 yards out--eleven minutes later, with an assist from Giggs. The Turkish visitors pulled one back in the 47th minute, but Rooney delivered again with a curling free kick in the 54th minute. Finally, with United up 5-2 in the 80th minute, Rooney played a pass to United striker David Bellion, who scored the match's final goal. 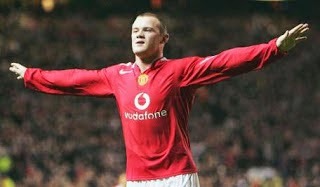 The hat-trick was Rooney's first as a professional player. On 27 September 2008, Barcelona defeated Espanyol 1-2. 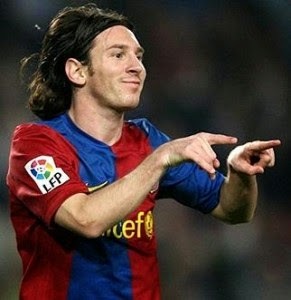 Barça winger Lionel Messi scored the winning goal with a controversial penalty kick in the 14th minute of stoppage time. The home side received an early gift in the 19th minute when Barça keeper Victor Valdes failed to secure a high ball and spilled it to the feet of Espanyol forward Ferran Corominas, who tapped it home. Their fortunes turned, however, when winger Anderson Nene was sent off right before the break. Nene, who had been carded earlier in the match, was booked a second time for elbowing Barça midfielder Sergio Busquets in the 45th minute. Down to ten men, Espanyol defended bravely in the second half, with keeper Carlos Kameni making several brilliant saves. In the 70th minute, the referee halted the game and the players were taken off the field due to incidents in the stands. After a break of approximately seven minutes, the match resumed. In the 84th minute, Kameni parried a shot from forward Thierry Henry, but it rebounded off a defender and back to Henry, who claimed the second-chance goal. The teams were deadlocked deep into stoppage time when Barça substitute forward Samuel Eto'o was tripped in the penalty area by Espanyol defender Nicolas Pareja in the 13th minute of added time. Although the contact appeared minimal, Barça were awarded the penalty, which Messi easily converted. The whistle blew almost immediately afterward. The win was a landmark victory in a season that saw Barça claim both La Liga and the UEFA Champions League. 26 September 1948 - Shalom! On 26 September 1948, the United States beat Israel 3-1 in a friendly before a crowd of approximately 50,000 at Giants Stadium in New York. The match was the first for the Israeli national team. The Israel Football Association is the successor to the Palestine Football Association, which was founded in 1920 and joined FIFA in 1929. 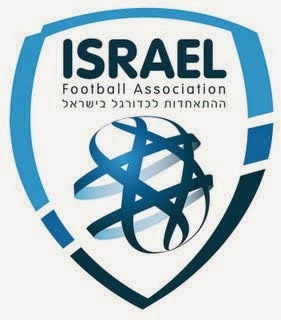 When the state of Israel declared its independence in 1948, the IFA became the new governing body for the new national team. In that first match, the US took an early lead with a goal from forward Ed Souza in the 13th minute. The lead didn't last long, however, as right midfielder Shmulik Ben-Dror scored a 20th-minute equalizer for Israel--the new national team's first ever goal. The Americans reclaimed the lead right before the break, as forward Ben McLaughlin found the net in the 44th minute. Souza finished the scoring in the 57th minute to complete his brace and secure the win. On 25 September 1962, Ipswich Town defeated Maltese champions Floriana 10-0 in the second leg of the European Cup's first round. 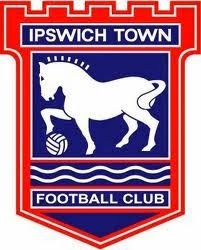 Ipswich qualified for the 1962-63 European Cup by winning the Division One title the previous season--their first season in the English top flight. Their rise to glory was orchestrated by manager Alf Ramsey, who had taken over in August 1955 when the club were in Division Three. He stayed with the club until April 1963, when he left to manage the English national team. In Malta one week earlier for first leg, Ipswich had won 1-4, so the second leg appeared to be a mere formality. Ipswich dominated the Maltese side from the start, however, going ahead 1-0 with an 8th-minute goal from inside forward Douglas Moran. By halftime, the score was 6-0, with two goals from striker Edward Phillips (14', 34' (pen)) and a hat-trick from striker Raymond Crawford (28', 39', 44'). Moran added another in the 52nd minute, as did wing-half John Elsworthy (54'), while Crawford contributed a second-half brace (60', 80'). The 10-0 demolition sent them into the European Cup second round with the aggregate score of 14-1. There, they met eventual champions Milan, who eliminated them 4-2 on aggregate. Crawford scored in the second leg, a 2-1 Ipswich win, giving him a total of 8 goals. Although he played in only the first two rounds, that tally ranked him as the third-highest goalscorer for that year's competition. The 10-0 win remains Ipswich's largest margin of victory in any competition. The club currently plays in the English second division. 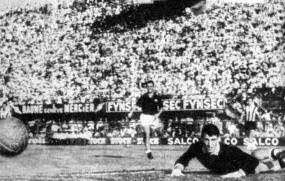 On 24 September 1961, 19-year old Italian goalkeeper Dino Zoff made his Serie A debut with Udinese in a 5-2 loss to Fiorentina. He made only four appearances for Udinese in the 1961-62 season, which ended in relegation for the club. After a season in Serie B with Udinese, he moved to back to Serie A in 1963 with Montova, who were themselves relegated in 1965 and then promoted back to Serie A in 1966. He moved to Napoli for five seasons (1967-72) before finally settling with Juventus. He played 11 seasons for the Bianconeri, winning six Scudettos, two Coppa Italia trophies, and the 1977 UEFA Cup Final. He also earned honors with the Italian national team, winning the 1968 UEFA European Championship and captaining the Azzurri to a 3-1 win over West Germany in the 1982 World Cup Final. He was 40 at the time, making him the oldest person to win the Jules Rimet Trophy. He retired from playing in 1983 after making 330 Serie A appearances with Juventus. On 23 September 1953, center forward Alfredo di Stéfano debuted for Real Madrid in a friendly against AS Nancy. The French side won 4-2. Nicknamed "the Blond Arrow," Di Stéfano is considered to be one of the greatest footballers in history. He was born in Buenos Aires on 4 July 1926 and signed his first professional contract in 1944 with River Plate. He stayed with River Plate until 1948, including a brief loan spell with Hurucán. In 1948, as the result of players' strike in Argentina, he moved to Colombian side Los Millonarios. In 1952, Millonarios were invited to Madrid to play in a tournament celebrating Real Madrid's 50th anniversary, which the Bogotá club won. Di Stéfano impressed the scouts in attendance and initially signed with Barcelona, but issues arose over his contract rights. 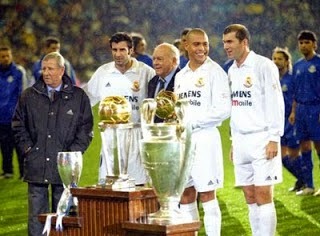 Real president Santiago Bernabéu took advantage of the delay and convinced di Stéfano to sign instead with the Meringues. The incident aggravated the already-strained relations between the two Spanish giants. 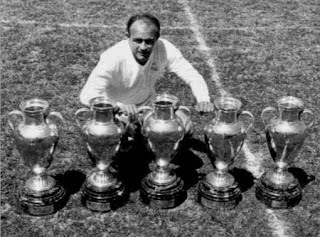 Di Stéfano, who had already won both accolades and silverware with River Plate and Millonarios, reached greater heights with Real, including eight La Liga titles (1954-55, 1957-58, 1961-64) and five consecutive European Cup trophies (1956-60). He also won the Ballon d'Or in 1957 and 1959. At the international level, di Stéfano played for three different sides--Argentina (four appearances), Colombia (six), and Spain (31), but never played in the World Cup. He left Real after the 1963-64 season, accumulating 418 goals in 510 matches for the Spanish club. He retired from playing in 1966 after two seasons with Espanyol. On 22 September 1960, Bulgarian center forward Georgi Asparuhov made his first professional appearance, a Bulgarian top division match for Levski Sofia against Lokomotiv Sofia. 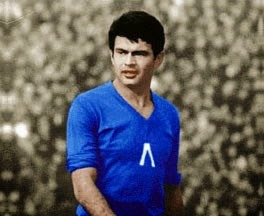 Asparuhov, nicknamed "Gundi," is widely regarded as the greatest Bulgarian footballer of all time. He played with Levski for two seasons, making 23 league appearances and scoring seven goals. In 1961, he transferred to Botev Plovdiv, where he won his first silverware--the 1962 Bulgarian National Cup. He moved back to Levski in 1963, where he remained until he died in an automobile accident in 1971. In total, he played 326 club matches and scored 209 goals, winning three more National Cups (1968, 1970, 1971) and three league titles (1965, 1968, 1970). He was the league's top scorer in the 1964-65 season with 27 goals and was named Bulgaria's top sportsman in 1965. He also made 50 appearances for the Bulgarian national team from 1961 to 1971, scoring 19 goals. Asparuhov drew attention from bigger European clubs after a tie against Benfica in the 1965-66 European Cup. Levski lost to Benfica on aggregate, 5-4, with Asparuhov scoring all four of Levski's goals. Scouts from AC Milan approached Asparuhov, who famously responded "There is a country named Bulgaria, and in this country is a team named Levski. You maybe haven't heard of it, but there I was born and there shall I die!" In 1990, Levski's stadium was renamed Georgi Asparuhov Stadium. On 21 September 1968, Notts County suffered a 0-3 home loss to Swansea City in the ninth week of the Division Four season. The defeat dropped the Magpies to the bottom of the Division Four table. 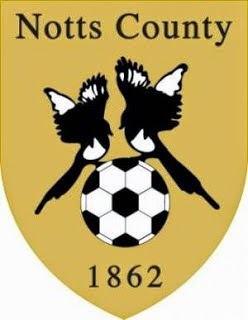 Notts County is widely recognized as the oldest professional association football club in the world, with a founding date of 1862. In 1888, Notts County joined eleven other clubs to found the Football League. 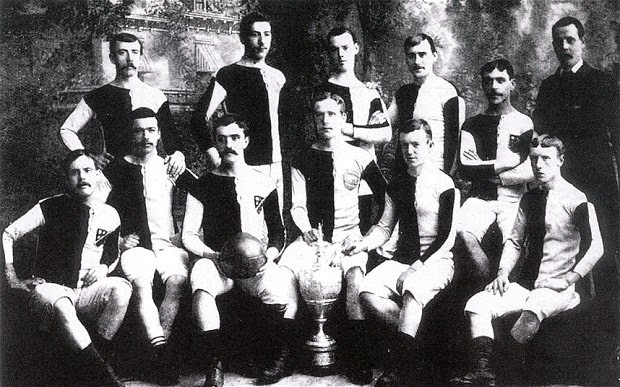 The club struggled early and were relegated to Division Two in 1893. They did enjoy some success in the FA Cup, however, making the Final in 1891 and winning it in 1894. The Magpies returned to the top flight in 1897 and spent the majority of the pre-WWI years in Division One, but after the war, they again slid back into the lower tiers, spending lengthy spells in Division Three. By the time they played Swansea City on 21 September 1968, Notts County had spent the previous four years in Division Four, the Football League's lowest tier. The loss to Swansea marked the nadir of the Magpies' fortunes, signifying a drop from Football League founder to the bottom the entire Football League organization. Notts County avoided relegation, finishing in 19th place out of 24 teams. In 1969, the club appointed Jimmy Sirrel as manager and he orchestrated the club's climb back through the higher divisions. They made it back to Division One in 1981. The club has since returned to the lower divisions, having last played in the top flight in 1992. They currently play in England's third tier. 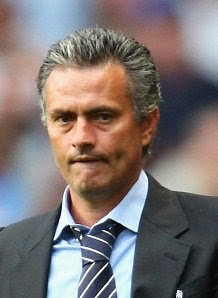 On 20 September 2007, Chelsea manager José Mourinho left the club "by mutual consent." The move was unexpected and reportedly was precipitated by confrontations between Mourinho and club owner Roman Abramovich. Mourinho joined Chelsea in June 2004 from Porto. He had just completed a string of successes at the Portuguese club, including a 3-0 win over Monaco in the 2004 UEFA Champions League Final the previous month. In an early press conference with Chelsea, he told reporters "I'm European champion and I think I'm a special one," which led to the press giving him the nickname "The Special One." The nickname proved well-earned, as Chelsea won the Premier League in each of their first two seasons under the often-controversial Mourinho--a remarkable feat for a club who won their last (and only prior) league title in the 1954-55 season. And before his departure, Mourinho had won every other domestic trophy available to him: the FA Cup (2007), the League Cup (2005, 2007), and the FA Community Shield (2005). His relationship with Abramovich was strained from the beginning, however. The owner acquired Ukrainian striker Andriy Shevchenko from Milan over Mourinho's objections and Shevchenko's playing time, or lack thereof, became a point of contention. Abramovich also installed Avram Grant as Director of Football, again over Mourinho's objections. Tensions were increased when the Blues struggled at the beginning of the 2007-08 season, losing away to Aston Villa and drawing at home to Blackburn Rovers. The final straw for Mourinho was a 1-1 home draw with Norway's Rosenborg in Chelsea's opening Champions League match on 18 September 2007. Mourinho left the club three days later. He was succeeded by Avram Grant, who led the Blues to the Champions League Final, but lost to Manchester United. Chelsea also finished runners-up to United in the league and to Tottenham in the League Cup, but finished the season without winning any silverware. In June 2008, after a season out of football, Mourinho signed with Serie A champions Inter and retained the Scudetto in his first season. In 2010, he moved to Real Madrid, then returned to Chelsea in June 2013. Labels: Chelsea F.C., F.C. Internazionale Milano, F.C. Porto, José Mourinho, Real Madrid C.F. 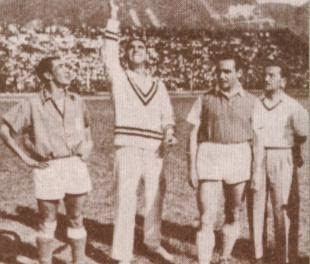 On 19 September 1948, Santa Fe defeated local rivals Millonarios 5-3 in the first official Bogotá derby, El Clásico Capitalino. (The coin toss for that match is shown to the right, with Sante Fe's captain on the right and Millonarios' captain on the left). Millonarios was founded in 1946, though it traces its history back to 1937 through two earlier versions of the club. The name "Millonarios" had originally been a nickname given to the club for its heavy spending to bring in foreign players. Santa Fe was founded in 1941 in a Bogotá café and was named after the street on which the café was located. The clubs first met in a local league match in 1942, when Millonarios were known as Club Deportivo Municipal, but the 1948 derby was the first meeting between the clubs as they currently exist and the first in the División Mayor del Fútbol Profesional Colombiano ("Dimayor" for short). 1948 was the inaugural season for the Dimayor, who had just seceded from FIFA over a dispute with the Colombian amateur football organization. Both Millonarios and Sante Fe benefitted from working outside FIFA's constraints on transfer and player payments, and both were able to lure high-profile signings from both sides of the Atlantic. Millonarios acquired Alfredo di Stéfano and Adolfo Pedernera from River Plate, while Sante Fe signed Neil Franklin from Stoke and Charlie Mitten from Manchester United. Santa Fe won the Dimayor in that first season, while Millonarios won it the next year. Between them, Santa Fe and Millonarios have won 19 first division titles, though the last title for either club was Millonarios' title in 1988. Labels: Adolfo Pedernera, Alfredo di Stéfano, C.D. los Millonarios, Charlie Mitten, División Mayor del Fútbol Profesional Colombiano, Neil Franklin, Santa Fe C.D. 18 September 1976 - Looking For A Birthday Present? Try A Silverware Case. On 18 September 1976, future Galactico and Brazilian star striker Ronaldo Luis Nazário de Lima, more commonly known simply as "Ronaldo," was born in Rio de Janeiro. In 1993, Ronaldo signed his first professional contract with Brazilian club Cruzeiro, but made only 14 appearances for them (and scoring 12 goals) before transferring to PSV Eindhoven in 1994 for a fee of $6 million. He rose to prominence with Eindhoven, scoring 54 goals in 57 appearances. He was the Eredivisie's top scorer in his first season and helped propel Eindhoven to the Dutch Cup trophy in his second season. Ronaldo hasn't stayed particularly long with any club, leaving PSV after two seasons for Barcelona. 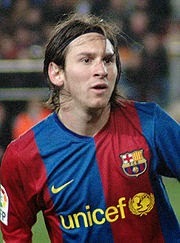 He stayed at Barça for the 1996-97 season, then moved to Inter (1997-2002), Real Madrid (2002-07), and Milan (2007-08 ). Along the way, he earned numerous team honors, including the UEFA Cup Winners' Cup (1997, with Barça), UEFA Cup (1998, with Inter), and La Liga title (2003 and 2007, with Real). He also led Brazil to the World Cup title in 1994 and 2002. Ronaldo claimed an ample supply of individual awards as well, including the European Golden Boot (1996-97), UEFA Most Valuable Player (1997-98), World Cup Golden Ball (1998), and the Ballon d'Or (1997, 2002). He is one of only two people (the other being Zinedine Zidane) to be named the FIFA World Player of the Year three times (1996, 1997, 2002). In February 2008, Ronaldo suffered a potentially career-ending knee injury while playing for Milan. Released at the end of the season, Ronaldo trained with Brazilian side Flamengo during his recovery before controversially signing with rivals Corinthians in 2009, where he remained until his retirement in 2011. 17 September 2007 - That Bright Light At The End Of The Tunnel? Train. On 17 September 2007, Derby County defeated Newcastle 1-0 at Pride Park. It was the sixth game of the season, and the first win, for the newly-promoted Premiership side. The winning goal was scored in the 38th minute by Scottish striker Kenny Miller (pictured), making his league debut in his first season with the Rams. The excitement, however, was short-lived. Derby's next match was a 5-0 loss at Arsenal, the first of an English record 37 consecutive League matches without a win. That streak of futility saw Derby become the first team in history to be mathematically relegated from the Premiership in March. They ended the 2007-2008 season with a record-low 11 points from one win and eight draws. In November, two months after the win over Newcastle, manager Billy Davies left the club by mutual consent and was replaced by Paul Jewell. Miller, whose goal secured Derby's only win of the season, left the following summer for Rangers. It was almost a year before Derby claimed another league win, a 2-1 English League Championship victory over Sheffield United at Pride Park. On 16 September 1992, Moroccan-born French international midfielder Larbi Benbarek died in his home in Casablanca at the age of 75. Nicknamed "the Black Pearl," Benbarek has been hailed as the first African football star. He was born in Casablanca in 1914 and played professionally for his hometown clubs Idéal Club Casablanca (1930-34) and US Marocaine (1934-38) before moving to France to sign with Marseille at the age of 20. He stayed with Marseille until 1939, scoring 10 goals in 30 league appearances, before the onset of World War II forced him back to Morocco. Before he left, he had made four appearances for the French national team. 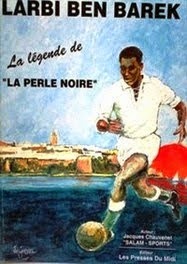 He stayed with Marocaine for the duration of the war, but moved back to Europe when the war ended to play for Stade de Français (1945-48), Atlético Madrid (1948-53) and again with Marseille (1953-55). He also resumed his career with the French national team, making a total of 17 appearances between 1938 and 1954. In 1955, he again returned to Morocco, where he played for Sidi-Ben-Abbes for a season. He retired from playing in 1956. He briefly managed to Moroccan national side in 1957, and again in 1960, before retiring from football completely. Soccer legend Pelé reportedly once said about Ben Barek: "If I am the king of soccer, then Larbi Benbarek is the god of it." In 1998, FIFA posthumously awarded him its highest honor, the FIFA Order of Merit. On 15 September 1956, South Korea defeated South Vietnam 5-3 at the Government Stadium in Hong Kong to claim the title in the first ever AFC Asian Cup. The tournament began with a qualifying round of nine Asian Football Confederation teams in three groups. Israel qualified from Group 1 without playing a match, as fellow group members Afghanistan and Pakistan withdrew. South Vietnam won Group 2 and South Korea advanced from Group 3. The three group winners were then joined by hosts Hong Kong, who automatically qualified for the round-robin Final Tournament. The Final Tournament was played as a series of six matches between 1 September and 15 September. Two points were awarded for a win and one point for a draw. All matches were played at Hong Kong's Government Stadium. South Korea drew its first match 2-2 against Hong Kong, then beat Israel 1-2 to go into the final match with three points. They were one point behind Israel, who had already completed their matches, and thus needed a win against South Vietnam to claim the title. 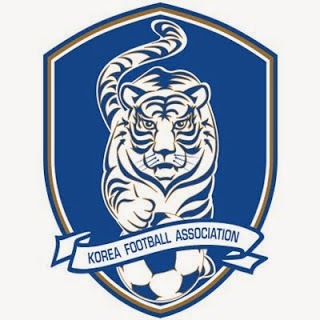 The teams were tied at 2-2 early in the second half when South Korea's Choi Jung-Min put them ahead with a strike in 57th minute. They extended their lead to 4-2 when Woo Sang-Kwon, who had earlier converted a penalty kick, scored his second goal of the match in the 58th minute. South Vietnam pulled back within one in the 63rd minute, but Choi added another in the 66th minute, giving South Korea a 5-3 victory. On 14 September 2008, Real Madrid defeated Numancia 4-3 at the Bernabéu in the second week of the 2008-09 La Liga campaign. In doing so, Real became the first team to tally 5,000 goals in La Liga. Numancia took an early lead with a 6th-minute header from midfielder Juan Carlos Moreno. Real equalized in the 18th minute with a long-distance shot from skipper Guti. The Spanish midfielder scored with a left-footed rocket that deflected off a Numancia player and past the keeper into the bottom right side of the net. That was Real's 5,000th league goal. The match was far from over, as Numancia midfielder José Barkero returned the lead to his side in the 21st minute, only for Real winger Gonzalo Higuaín to equalize in the 25th minute. Real took its first lead of the match with a 33rd minute goal from midfielder Rafael Van der Vart and stretched its advantage thanks to a 39th-minute own goal from Barkero. Moreno added another goal in the 56th minute, but it was too little, as Real held on for the 4-3 win. Labels: C.D. Numancia, Gonzalo Higuaín, José Barkero, José María Gutiérrez Hernández, Juan Carlos Moreno, Rafael Van der Vart, Real Madrid C.F. 13 September 2006 - Footballers Of The World, Unite! 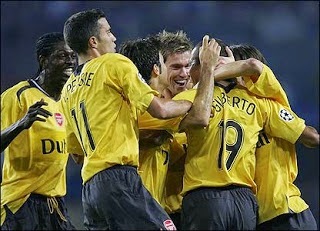 On 13 September 2006, Arsenal defeated Hamburg 1-2 in their opening UEFA Champions League group stage match before a crowd of 51,258 at Arena Hamburg. The match was notable for the fact that, for a 42-minute period, the Arsenal side was comprised of 11 different nationalities. Arsenal's starting eleven included ten different nationalities. The only duplicate was the Ivory Coast, due to the presence of Kolo Toure and Emmanuel Eboué in defense. Toure suffered a thigh injury, however, and was replaced by Justin Hoyte in the 28th minute. At that point, the Gunners on the pitch were Jens Lehmann (Germany), Emmanuel Eboué (Ivory Coast), Johann Djourou (Switzerland), Justin Hoyte (England), William Gallas (France), Tomáš Rosický (Czech Republic), Gilberto Silva (Brazil), Cesc Fàbregas (Spain), Alexander Hleb (Belarus), Emmanuel Adebayor (Togo), and Robin van Persie (Netherlands). That combination lasted until the 69th minute, when van Persie was substituted in favor of a second Brazilian, striker Julio Baptista. The match itself was never in doubt, as Hamburg keeper Sascha Kirschstein was sent off in the 10th minute for tripping van Persie. Gilberto converted the ensuing spot kick and Rosický added a second goal in the 53rd minute. Hamburg's Boubacar Sanogo pulled one back in the 90th minute, but it was too late for the undermanned side to complete a comeback and the match ended 1-2 in Arsenal's favor. As if eleven nationalities weren't enough, Arsenal had two more nations represented on the bench with Sweden's Freddie Ljungberg and Cameroon's Alex Song. On 12 September 1990, the Faroe Islands shocked the international football community by defeating Austria 1-0 in a qualifying match for the 1992 UEFA European Championship. 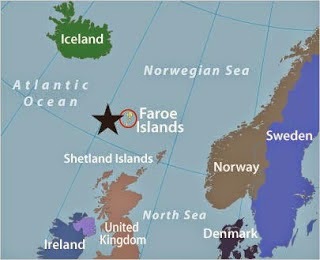 Located between Scotland and Iceland in the North Atlantic, the Faroes are an autonomous province of Denmark, with whom they have been affiliated politically since the year 1380. Their current population is estimated to be just under 50,000. The Faroe Islands national team started in 1930, but only joined FIFA and UEFA in 1988. Thus the match against Austria was their first match in a competitive tournament. Although it was a home match for the Faroes, it was played in Sweden because the Faroe Islands had no grass pitch. The teams were deadlocked until the 61st minute, when Faroese midfielder Torkil Nielsen eluded an attempted tackle and shot the ball past the Austrian keeper into the bottom of the net from 17 yards out. The Islanders defense held strong to preserve the 1-0 win. Despite the auspicious start to the campaign, the Faroes failed to qualify, managing only one other point (a 1-1 draw with Northern Ireland). They finished at the bottom of the group, behind Yugoslavia, Denmark, Northern Ireland and Austria. The Faroe Islands continue to compete in FIFA and UEFA, but have yet to qualify for a major tournament. On 11 September 1945, former Bayern Munich star defender and West German national team captain Franz Beckenbauer was born in Munich. Nicknamed "Der Kaiser," Beckenbauer started playing football at the age of 8 and signed with the Bayern Munich youth team in 1959 (despite supporting local rivals 1860 Munich). He debuted for Bayern's senior side on 6 June 1964 and stayed through the 1976-77 season, accruing a total of 461 appearances and 53 goals in all competitions. During that time, Bayern won four Bundesliga titles, four DFB Cups, three European Cups, one UEFA Cup Winners' Cup and one Intercontinental Cup. In the meantime, Beckenbauer also enjoyed success with the West German national team, for whom he made 103 appearances, winning the 1972 European Championship and the 1974 World Cup. 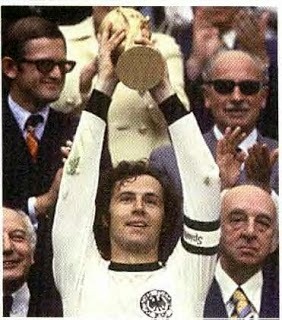 Beckenbauer's West Germany also finished as runners-up in the 1966 World Cup and in third place for the 1970 World Cup. He also claimed numerous individual honors, including the 1972 and 1976 Ballon d'Or awards. Beckenbauer left Bayern in 1977 to play for the New York Cosmos (1977-80, 1983) and Hamburg (1980-82). He retired from playing in 1983 and turned to management, starting with the West German national side (1984-90). When West Germany won the 1990 World Cup, Beckenbauer became only the second person to win the Jules Rimet Trophy as both a player and manager (Brazil's Mário Zagallo was the first). 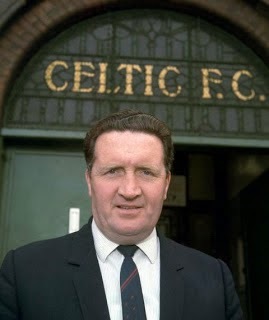 On 10 September 1985, Scottish national team manager John "Jock" Stein died at the age of 62 after suffering a heart attack at the end of Scotland's 1-1 draw with Wales in a World Cup qualifier at Ninian Park in Cardiff. He died a short time later in the stadium's medical room. Born in the Scottish lowlands mining town of Burnbank, South Lanarkshire on 5 October 1922, Stein signed his first professional contract as a center-half for Albion Rovers in 1942 while working part time as a coal miner. He made 200 league appearances for Albion from 1942 to 1950, then spent the 1950-51 season with Welsh side Llanelli Town before moving to Celtic in 1951. He made 148 league appearances for Celtic before ankle injuries forced him to retire in 1956. Upon retirement as a player, Stein moved into management, starting with the Celtic reserve side. In 1960, he took over as manager of Dunfermline Athletic and led them to their first Scottish Cup victory in 1961 with a 2-0 victory over Celtic in the Final replay. He left Dunfermline in 1964 and spent the 1964-65 season in charge of Hibernian before returning to Celtic in 1965. He also managed the Scottish national side part-time in 1965. Stein enjoyed his greatest success at Celtic, winning ten league titles, eight Scottish Cups, and six Scottish League Cups between 1965 and 1978. His crowning acheivement, however, was beating Inter Milan in the 1967 European Cup Final, thus becoming the first man to win the prestigious trophy with a British club. Despite his successes, he was pressured out from Celtic in 1978 in favor of new manager Billy McNeill. Stein accepted the managerial position at Leeds United later that year, but left after only 45 days in order to manage the Scottish national side full time. After his death, Stein was posthumously inducted into the Scottish Sports Hall of Fame and the Scottish Football Hall of Fame. Since the 1990s, the west end of Celtic Park has been named the Jock Stein Stand and a bust of Stein is located in the stadium's foyer. On 9 September 2009, Spain defeated Estonia in a World Cup qualifier. The win booked their place at the 2010 World Cup and secured a national team clean sheet record for keeper Iker Casillas. Played before a crowd of 14,362 at the Estadio Romano in Mérida, the hosts posted a first-half lead with a goal from midfielder Cesc Fabregas in the 33rd minute. But Estonia kept the match close with a couple of narrow misses and maintained the one-goal deficit deep into the second half. Spain finally managed to extend their lead when substitute Santi Cazorla found the net in the 79th minute. Fellow substitute Juan Manuel Garcia Mata added a final goal in the 90th minute. The win ensured that Spain would finish at the top of their qualification group and advance to the World Cup. By keeping Estonia scoreless, the match also counted as Casillas' record-breaking 56th clean sheet for Spain, one more than previous record holder Andoni Zubizarreta. 8 September 1888 - And We're Off! On 8 September 1888, Bolton's Kenny Davenport scored the Football League's first goal when he found the net in the second minute of their opening-day match against Derby County. It was one of five matches played on opening day of the League's first season. And despite Davenport's heroics (he later scored a second goal), Bolton fell 6-3 in what turned out to be the highest-scoring match of the day. Elsewhere, Everton beat Accrington 2-1, Preston North End beat Burnley 5-2, Stoke lost 0-2 to West Brom, and Wolverhampton drew with 1-1 Aston Villa. For a while, people believed that Villa's Gershom Cox got the League's first goal when he found his own net in the 30th minute, but subsequent research into the start times for the various matches gave the honor to Davenport. Labels: Bolton Wanderers F.C., Football League, Gershom Cox, Kenny Davenport, Wolverhampton Wanderers F.C. On 7 September 2006, FC Barcelona reached an agreement with UNICEF to promote the charity by including its name and logo on Barça's shirts, as well contributing 0.7% of the club's total annual revenue to UNICEF for a period of five years. The move was a significant departure from Barça's past practices, as the club was one of the few in football who had never before included a sponsor on their shirts. In this case, however, it was Barça who was sponsoring UNICEF, rather than the other way around. Unique at the time, the deal started a minor trend as other clubs soon followed suit. Swedish club Hammarby IF and Danish club Brøndby IF penned similar deals with UNICEF in 2007 and 2008, respectively. And English side Aston Villa sponsored Acorns Childrens Hospice on their shirts starting with the 2008-09 season.